Palmer Snyder/PS Event Furniture's Children's chair is lightweight, strong and fun. Your small guests will love sitting in a chair designed especially for their height and frame. Our children's chair come in a variety of lively colors that are resistant to tough use and are easy to clean and stack. Each chair leg is fitted with scratch resistant caps to protect your flooring. Palmer Snyder/PS Event Furniture's Children's chair will transform your every-day setting into one where the kids can play and learn in comfort. 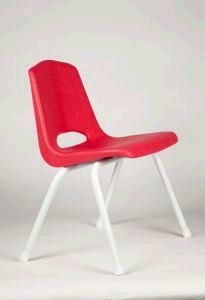 * Please call us with any questions about our red child s chair rentals in Lake Charles and Moss Bluff LA.